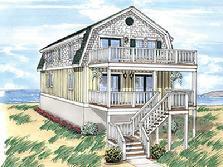 A classic beach home with plenty of windows to enjoy the views from the vaulted great room. Consult your builder or sales profesional to discuss which features you would are interested in, for pricing and to determine which features shown on the renderings exceed standard Simplex specifications. 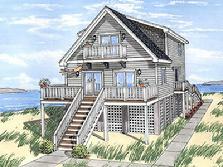 Simple but elegant the Ocean View offers an open floor plan with three combined bedrooms. 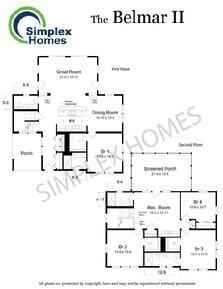 Consult your builder or sales professional to determine which features shown on the renderings exceed standard Simplex specifications. 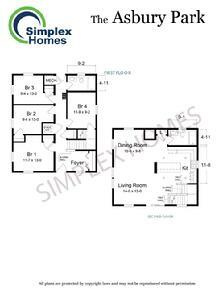 Simplicity is the beauty of this tradtional floor plan, open space for entertaining and three bedrooms for plenty of guests. 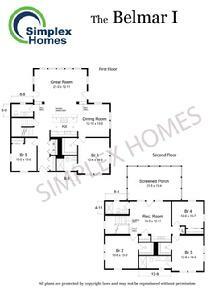 Consult your builder or sales professional to determine which features shown on the renderings exceed standard Simplex specifications. 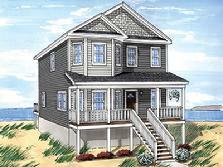 Reminiscent of the beach cottage from the days past, the Spring Lake is the prefect get away bungalow for your beach dream home or rental property. 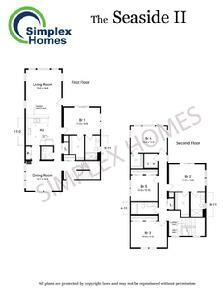 Consult your builder or sales professional to determine which features shown on the renderings exceed standard Simplex specifications. A second floor kitchen and a great room allows cooking and enertaining while you enjoy the views from the deck, so no one will miss any of the action! 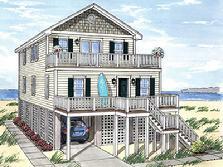 Four bedrooms on the first floor top off the perfect beach home. Please consult your builder on the many varying options we can provide for you and to dertermine which feautures on the renderings exceed standard Simplex specifications. An open floor plan with an oversized family room for casual get togethers and a formal dining room for unforgettable dinner parties complete this four bedroom 2 1/2 bath home. 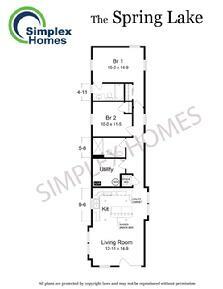 Consult your builder or sales prefessional to determine which features shown on the renderings exceed standard Simplex specifications. An open floor plan allows the space needed for unforgettable gatherings and entertaining. Windows galore will give you great views in all directions. 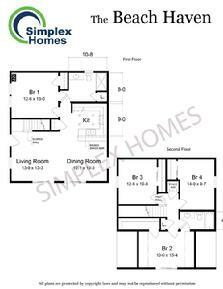 Consult your builder or sales profesional to determine which features on the renderings exceed standard Simplex specifications. 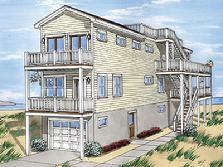 The Bay Head II is a companion home to the Bay Head I, featuring second floor bedrooms and study for guest's privacy. 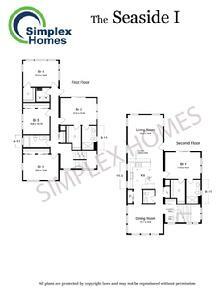 The first floor boasts a master suite for comfort and convenience. 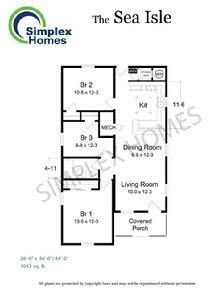 Consult your builder or sales professional to determine which featurs shown on the renderings exceed standard Simplex specifications. The Belmar series of homes offer varying elevations to suit a variety tastes but they all have one thing in common, unparalleled space. 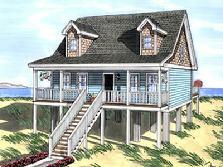 An open first floor design and a second level recreation area with wet bar. 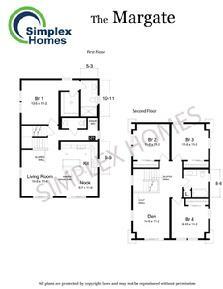 Five bedrooms and 3 1/2 baths make this a great primary or rental home. 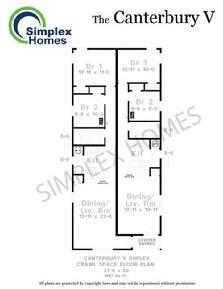 Consult your builder or sales professional to determine which features shown on the renderings exceed standard Simplex specifications. The Blemar Series of homes offer varying elevations to suit a variety of tastes but they all have one thing in common, unparalled space. 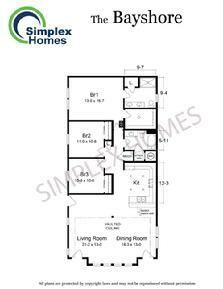 An open floor design and a second level recreation area with wet bar. 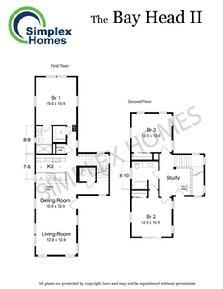 Five bedrooms and 3 1/2 baths make this a great primary or rental home. 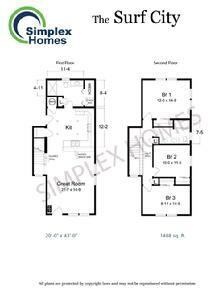 Consult your builder or sales professional to determine which features shown on the renderings exceed standard Simplex specifications. The Belmar Series of homes offer varying elevations to suit a variety of tastes but they all have one thing in common, unparalleled space. 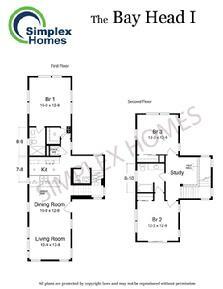 An open first floor design and a second level recreation area with wet bar. 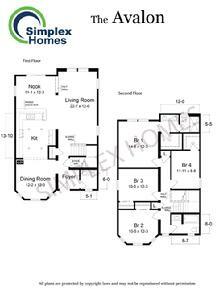 Five bedrooms and 3 1/2 baths make this a great primary or rental home. 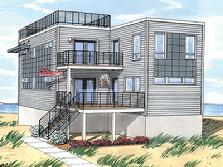 No compromises needed for a smaller building site, the Brigantine is well suited for a narrow building lot but still has all the features to enjoy your time at the beach. 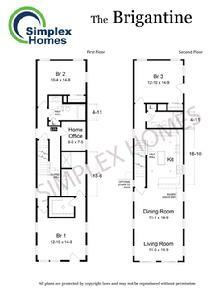 With the main living area on the second floor, featuring an oversized kitchen, this flexible floor plan has a home office- so you can mix pleasure and work. 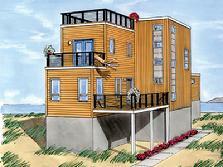 With 3 bathrooms and a roof top deck, this plan has it all. 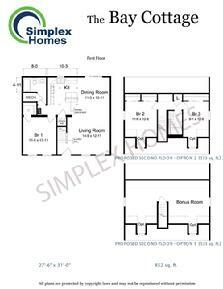 Consult your builder or sale professional to determine which features shown on the renderings exceed Simplex specifications. 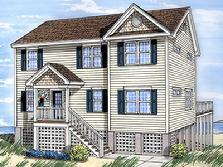 The Margate features a first floor Master Suite for privacy with ample guest space on the second floor. 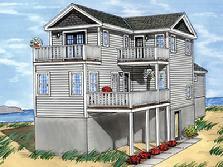 Both floors provide a common space with access to the decks for gathering and enjoying the sunrises and sunsets. Please consult Premier Modular Homes to determine which features shown on the renderings exceed standard Simplex specifications. 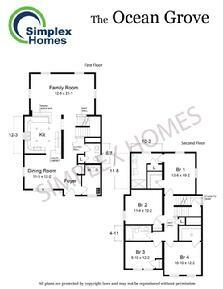 A traditonal floor plan gives you all the room you need for family gatherings or entertaining guests. Hey! Let's all meet on the roof top deck to watch the sunset! Please consult Premier Modular Homes to determine which features shown on the renderings exceed standard Simplex specifications. 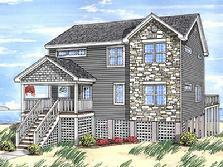 The Seaside I features five bedrooms, including two master suites that will provide ample accommodations for friends and family to gather and and make memories in this stunning contemporary home. Consult Premier Modular Homes to determine which features shown on the renderings exceed standard Simplex specifications. 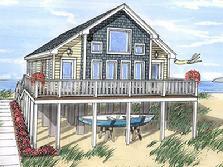 The Seaside II offers all of the same living accomodations as its sister home, the Seaside I, but with a traditional touch. 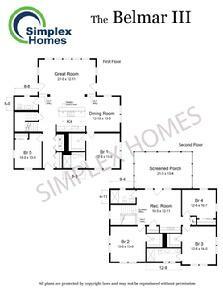 Five bedrooms, a master suite on each floor, formal and casual space, this plan had it all. Consult Premier Modular Homes to determine which features shown on the renderings exceed standard Simplex specifications. 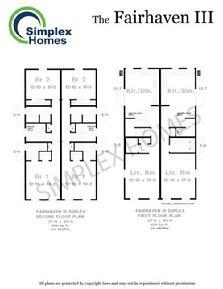 A classic design for a smaller building site gives you plenty of living space for everyone to enjoy. 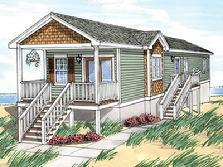 Consult Premier Modular Homes to determine which features shown on the renderings exceed Simplex specifications. 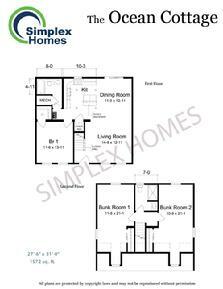 A compact home to fit a smaller building site, but still loaded with all the space needed for comfortable living. 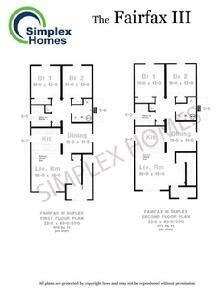 an oopen floor plan suitable for larger gatherings and four bedrooms for plenty of guests. 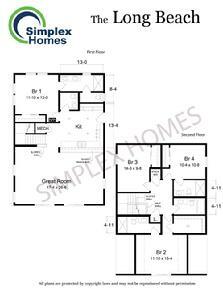 Consult Premier Modular Homes or sales professional to determine which features shown on the renderings exceed standard Simplex specifications. 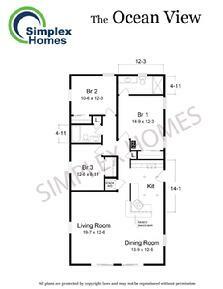 A great room that opens to a spacious kitchen featuring an elevated bar that gives the Long Beach a spacious feel. 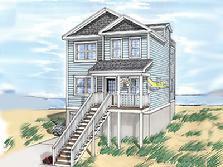 Four bedrooms and 4 1/2 baths provides your guests with comfort and convenience. Consult Premier Modular Homes to determine which features shown on the renderings exceed standard Simplex specifications. 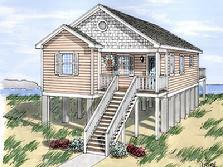 Plenty of room to grow in this traditional beach cottage with an open first floor plan and a unfinished second floor for future expansion for a bunk room or private bedrooms. Consult Premier Modular Homes to determine which features shown on the renderings exceed standard Simplex specifications. Compact and functional with an open first floor design and two large bunk rooms on the second floor this cozy cottage makes the most of all of its space. Please consult Premier Modular Homes to determine which features shown on the renderings exceed standard Simplex specifications. 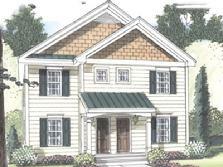 The Fairhaven as pictured includes an optional high pitched roof with decorative circle window, decorative shakes, siding, window mantels, grilles, shutters and second floor entry doors. The porches and roof above are site supplied and installed. Please contact Premier Modular Homes to determine which options you are interested in and which options in the artist rendering exceed Simplex specs. 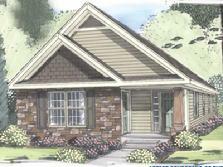 The Fairhaven as pictured includes an optional high pitched roof with decorative options and many standard specs. 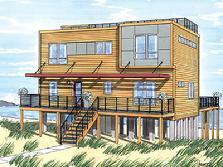 Please consult Premier Modular Homes to determine which features shown on the artists rendering exceed Simplex standard specs. 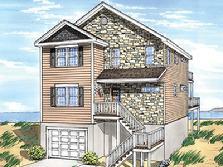 The Fairfax III as pictured has optional high roof pitch, full eave return, cornerposts, shake style siding, decorative korbels, windows grills, mantels, shutters, elongated first floor windows and siding. The front door with side lights is included. 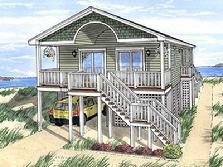 The porch and metal roof are site provided and installed. 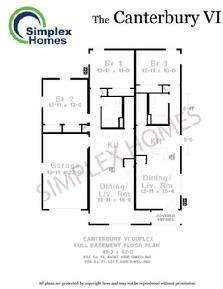 The Canterbury IV is highlighted by an optional high pitched roof, shakes, full eave return over front twin window, wide cornerposts, trim boards, decorative grill and side light at front door. The stonework is also supplied and installed. Please consult Premier Modular Homes to discuss your options and to determine which features on the artist rendering exceed Simplex standard specs. 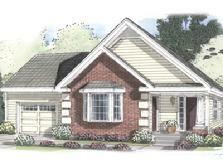 The Canterbury VI is highlighted by an optional high pitch roof, decorative grill, wide corner posts, decorative trim boards, and side light at front door. 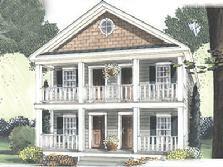 The optional Bay window is complimented by site supplied and installed brickwork and porch column. 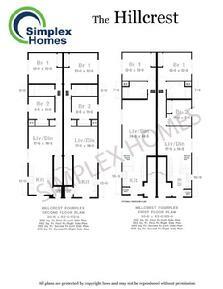 Th garage is included but the garage door is site supplied and installed. 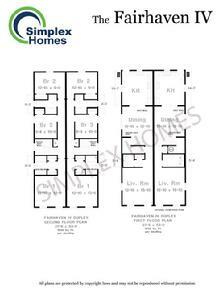 Please contact Premier Modular Homes to discuss more available options. 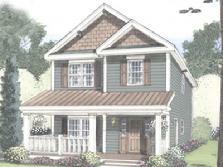 The Hillcrest elevation as pictured includes an optional high pitched roof, decorative vent, shakes, trim boards, optional siding, wide corner posts, window grills and mantels. The porch and roof are site installed and provided. 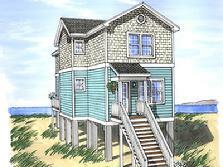 *Note: Your actual home can and may vary from artists renderings.